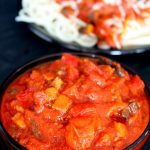 Vegetable Spaghetti Sauce, Homemade From Scratch! 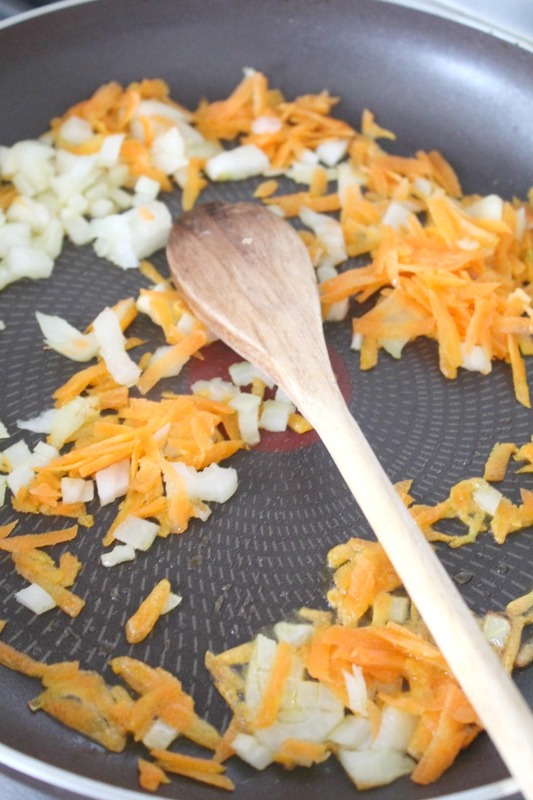 Cook onions and carrots 3 to 4 minutes, stirring frequently, until tender. 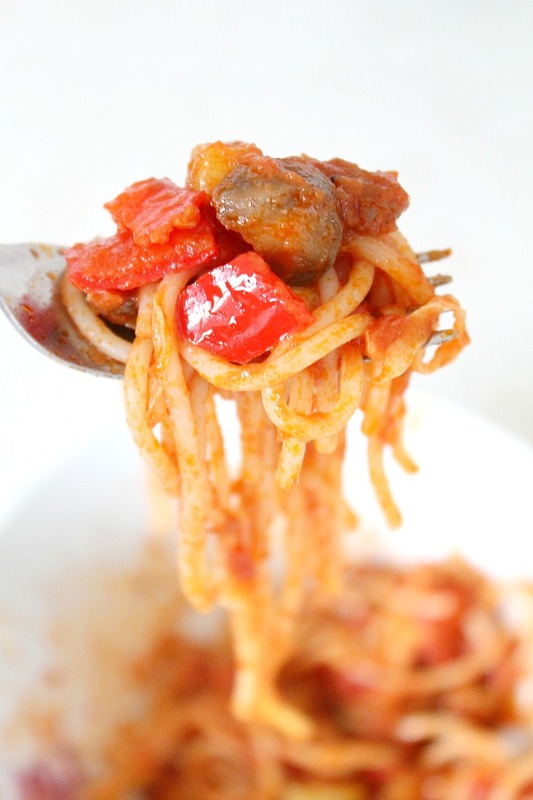 Stir in mushrooms, zucchini and bell peppers and cook for 3-4 minutes until slightly tender. 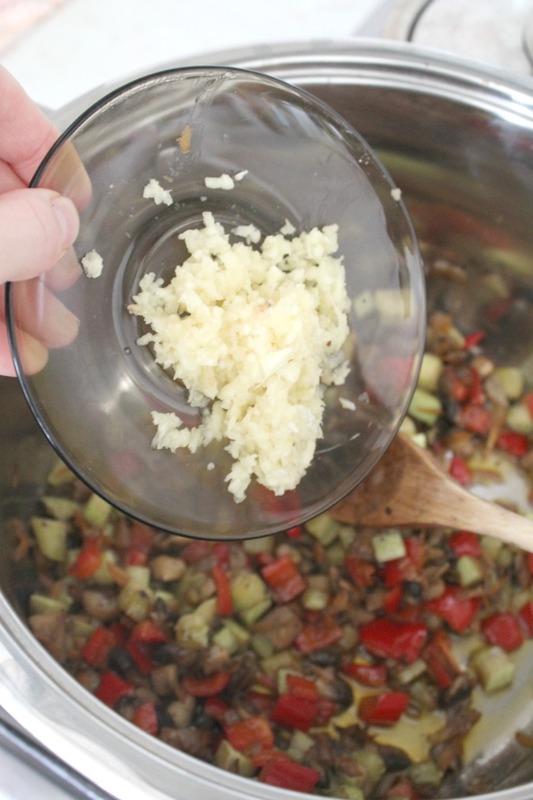 Move vegetables into a medium large pot. 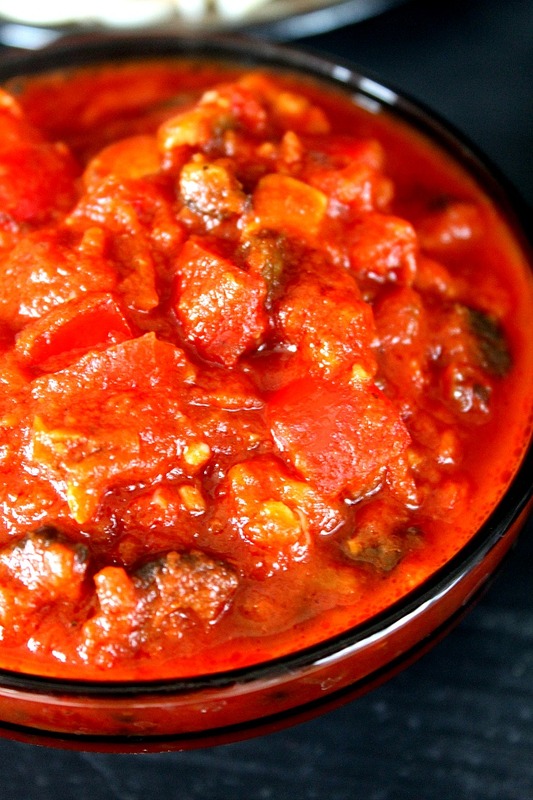 Stir in tomatoes, tomato sauce and garlic. Cover and cook on low heat for about 30 minutes. When done, turn heat off and add oregano and basil and stir gently. Meanwhile cook and drain spaghetti as directed on package. 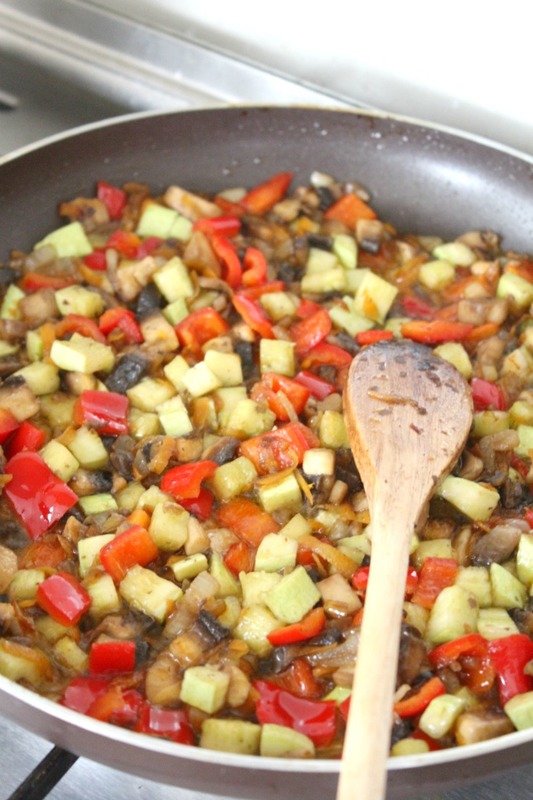 Stir in mushrooms, zucchini and bell peppers.